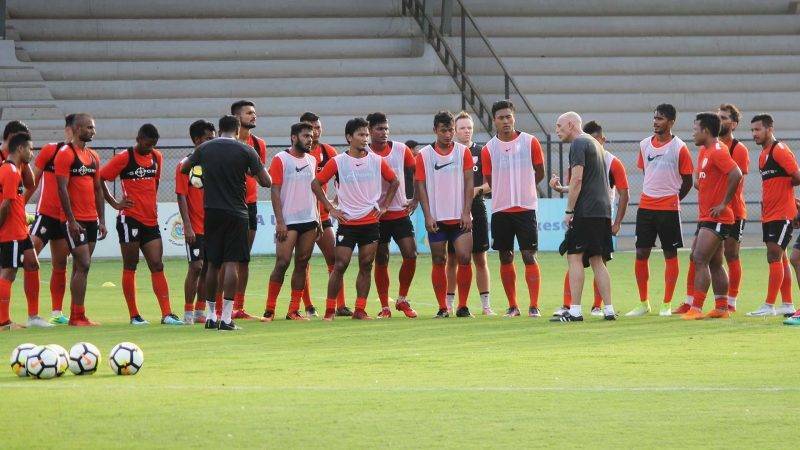 India is set to face Kenya, New Zealand and Chinese Taipei in the upcoming Hero Intercontinental Cup to build on a platform to test India’s solidity against other strong oppositions, which would further strengthen their preparation for the highly-anticipated AFC Asian Cup UAE 2019. As the name suggests, three nations representing three continental confederations to face off against India in the first edition. The countries are Chinese Taipei from the AFC (Asian Football Confederation), New Zealand from the OFC (Oceania Football Confederation) and Kenya from the CAF (Confederation of African Football). All Whites Head Coach Fritz Schmid has named a young and exciting squad to contest The HERO Intercontinental Cup starting June 1st,2018. Schmid, who was named as the new Head Coach of the All Whites in March, said the tournament is an excellent opportunity for his team in the early stages of their rebuilding towards the 2020 Tokyo Olympics and the 2022 FIFA World Cup in Qatar.The squad includes six uncapped players in goalkeepers Michael Woud and Nik Tzanez, defenders Nikko Boxall, Justin Gulley and Liberato Cacace and forward Noah Billingsley. Fritz Schmid squad has some young and exciting players who would be adept to play European style under the Swiss Head Coach of playing tactical possessional football. The squad doesn’t have any big names or mercurial talent but they have some very competitive players like Adam Mitchell who plays for English Championship side Bolton Wanderers along with 21-year-old forward Myer Bevan who plays for Husqvarna Fotbollförening in Sweden can bring some European quality to the game. They also have Sam Brotherton from League One side Sunderland. New Zealand under Swiss Coach Fritz Schmid would be playing a very compact football with pass and possession keeping their tactical shape intact. India would be tested to take the possession away and create spaces to penetrate New Zealand half. With few of the All White key players playing in England and Australia, India will have to be physically strong to match the muscle of strong Kiwi players to hold possession in tight space or while competing for the aerial duel. This would be the perfect platform for India to test themselves physically as they are set to face tougher opponents in AFC Asian Cup 2019.